Belmont’s Public Relations Student Society of America (PRSSA) chapter recently hosted a convocation event featuring Belmont public relations alumna Victoria Lewis where she shared the basics of media relations, her experiences in business to business (B2B) technology and life lessons for transforming from student to professional. 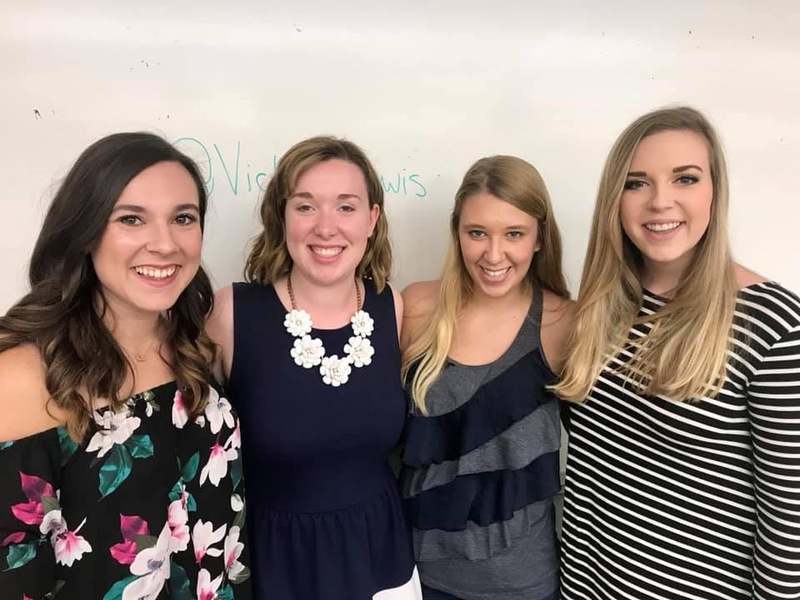 While Lewis was a student at Belmont, she held many leadership positions including resident assistant, member of Kappa Alpha Theta, PRSSA chapter president, Tower Creative Consultants student-run firm executive director and PRSSA national vice president of advocacy. She graduated in 2016 and began working for Walker Sands Communications in Chicago a few months later. She said that part of her role at Walker Sands is to get the agency’s clients placed in the media and this requires her to stay on top of what’s happening in the tech world. Walker Sands solely services B2B technology through a variety of avenues including media relations, a digital agency with search engine optimization (SEO) services, embedded content, in-house designers and in-house writers. She said their purpose is to develop and place content for other people in the technology agency to consume. At Walker Sands, employees work for back-end tech companies enabling them to talk about a lot of interesting topics like artificial intelligence (AI), crypto-currency and block-chain. She said she finds this industry to be interesting and that earning placements are significant as it they can be more challenging to earn that working in business to consumer (B2C) industries. Lewis went on to share examples of her work with students including the lifecycle of a data study as an example of an integrated team effort, a whitepaper and email pitches she sends to clients. Always looking for interesting leads, she shared idea for potential stories she might pitching including the percentage of employees connecting to public wifi for work or the percentage of marketing professionals who have fallen victim to a phishing scam. Once stories are placed, Lewis is always looking for links to be placed that direct readers back to her client’s website. She then shared ten life lessons with students for the transition from student to professional, advising them to find their people, be strategic with internships and to “not sweat the small stuff.” She instructed attendees to ignore negative voices, ask for help and make it up as they go. Lewis also shared the importance of reading the news to become a more interesting person, saying thank you and not letting your job become your entire life. She said above all, go for it. “Whether that’s moving to a new city or taking on a position in an industry you’re interest in or have never considered,” Lewis advised students to take chances and go for opportunities that could make their career. She said that organizations like PRSSA have helped her get where she is today.